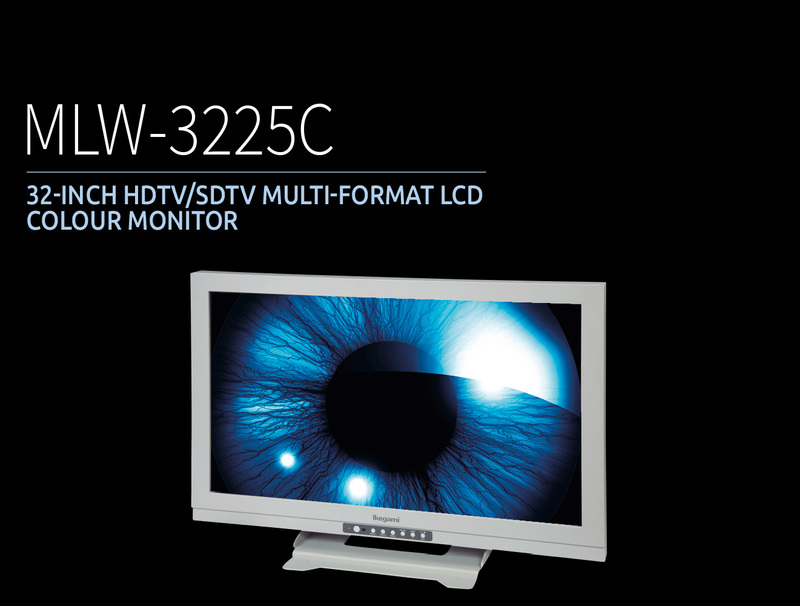 MLW-3200C series are large Widescreen 32-inch LCD Monitors with the high resolution 1920 (H) x 1080 (V) Full-HD LCD Panel, 1 Billion colour graduation (10-bit x 3-Colour) and wide angle of 178 degrees. MLW-3225C-3D is the latest development for surgical operation 3D monitoring systems. Two types of input images can be displayed simultaneously with Side-by-Side and Picture-in-Picture display mode. Variety of Gamma setting can be set, including the Standard CRT Gamma of 2.2 and the DICOM Gamma. Colour can be adjusted flexibly for user’s favorite by Hue and Chroma. Anti-Reflection hard coat screen is installed as standard to reduce the effect of the reflection and to protect the LCD panel. The chosen signal is not input for more than 30 seconds, the monitor automatically can turn OFF to save the power. The function can set ON/OFF. Maximum four (4) settings can be set as preset. The parameter such as colour temperature, hue, chroma, gamma, R/G/B gain and display mode can be saved for each user or application. Signal compensation function is installed and the signal degradation is prevented. Then, maximum 30 meters length of DVI-D cable can be used with the monitor. A variety of installation brackets for arms and walls can be chosen with the combination of VESA mount. 10-bit signal processing based on Ikegami image processing technology allows the smooth gradation of colour. Ikegami unique Jaggy-less I/P conversion process enables the smooth and clear lines on the display.